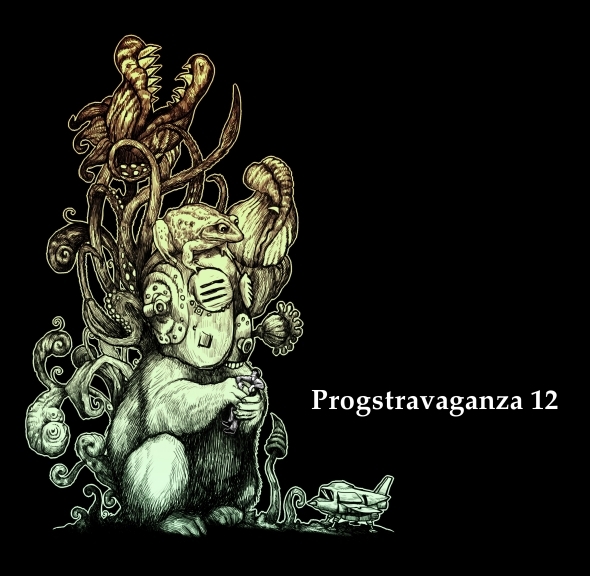 After months and months of working to bring you yet another great sampler coming out from our Progstravaganza series of compilation, we can finally show you a selection of 31 bands from all around the world. My opinion is that this part is probably the most progressive one since we started releasing the compilation in this new format (using Bandcamp), but it’s up to you, dear friends, do decide is it prog enough to be worth listening. However, I don’t think you will be disappointed. There are definitely great tunes on this sampler and we will bring you series of interviews and articles to accompany the full Progstravaganza story, so you can meet these bands in the ways other than music itself. This very site will be filled with such features from this day on and you can expect first interviews in the coming days. I have to mention that this time there is not actual PDF cover inside the archive, simply because we were thinking of doing a graphic presentation through the already mentioned features on the website. That way we think that you will create a better contact with the bands off the sampler and give them well deserved attention. Not to forget to give credits to Påhl Sundström, a graphic designer and guitarist with Klotet, Villebråd, Usupress, etc. Finally, here’s the embedded player of the sampler and if you like to check it directly from Bandcamp, click HERE. Thanks for listening. I was trying to download Progstravaganza No. 12, but the unfortunately the link is broken. Please repair it !! Thanks.